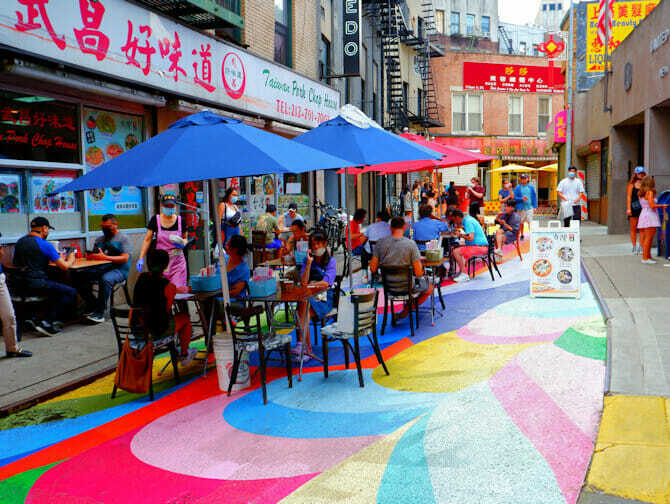 A wonderful neighbourhood to walk through is Chinatown in New York. Chinese have already inhabited this area since 1850, but great waves of people only moved here from 1965 onwards when the immigration laws became more lenient. 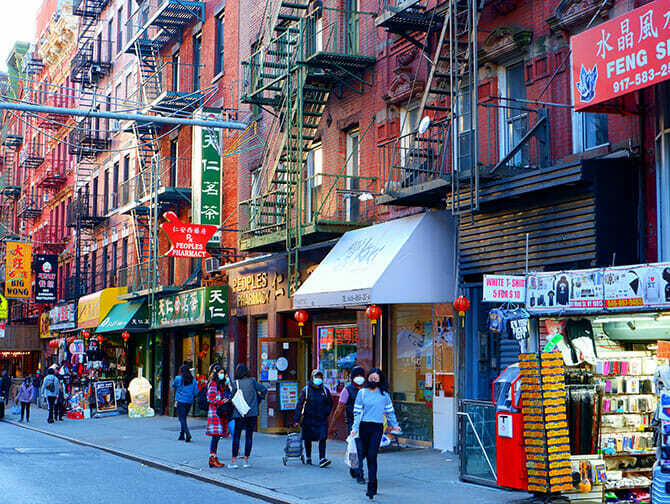 Now around 700.000 Chinese live in New York. 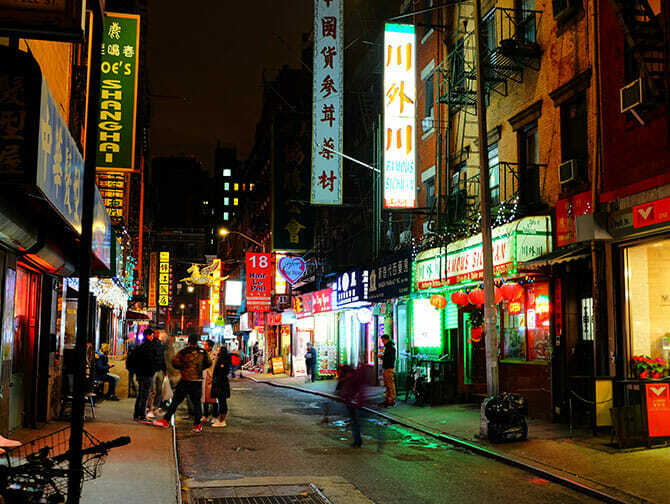 Aside from Chinatown, a lot also live in Flushing (in Queens), but Chinatown in Manhattan remains the main touristic Chinese neighbourhood in New York. 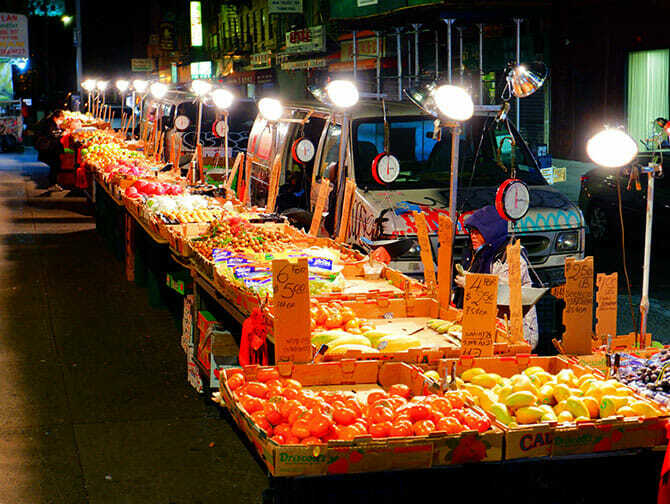 Nowadays it’s roughly located between Broadway on the west side and East Broadway on the east, and Delancey Street and Chambers Street on the north and south. Walking around this area really feels like you’re in China for a moment. I have never been to China, but I can imagine that it might be like Chinatown: food everywhere on the streets, huge buckets of fish. 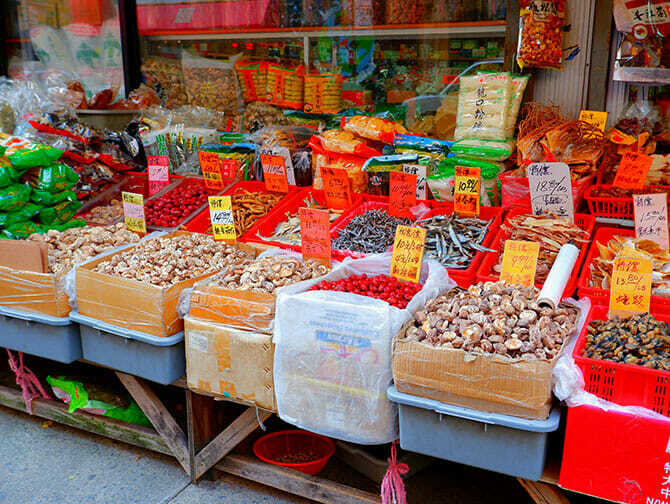 Shops where you can buy remedies for all sorts of conditions. You can also get a massage in one of the many massage parlours, the prices are clearly visible. Count on $ 12 for ten minutes, plus a few dollars tip. You only hear Chinese and even the McDonalds has translated its sign into those beautiful Chinese characters. You can visit the Museum of Chinese in America at 215 Centre Street. I went there and although I only walked around for 30 minutes, it was worthwhile. 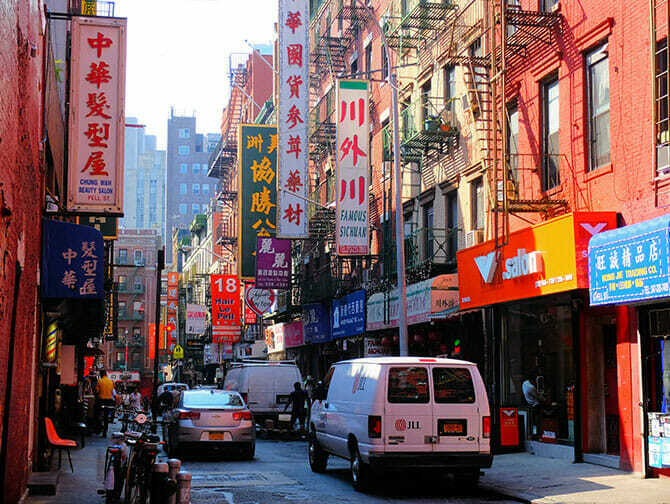 If you would rather walk through Chinatown with an expert guide there are a few tours to choose from. Nothing stops you from wandering through the neighbourhood on your own, but a local guide will always be able to tell about the area’s history and current happenings in more depth.